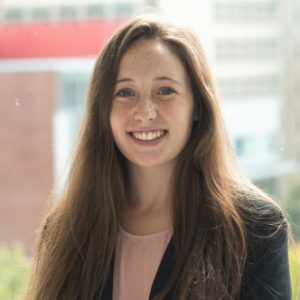 My name is Caitlyn Kelly and I am a junior at Temple University studying in Management Information Systems (MIS). Prior to coming to Temple, I attended Saint John Vianney High School in Holmdel, New Jersey, a community in which I became actively involved in. I served as the captain of my field hockey team and as an officer on our chapter of the National Honors Society. I carried this ambition and sense of community to Temple, and upon deciding to major in MIS I became an active member of the Association for Information Systems (AIS). In this organization, I am able to network with peers, faculty and professionals in the industry. I have become a mentor to younger members of the organization and have the opportunity to help them become better students. I am hard-working and have the ability to adapt to many different situations. Please take a minute to explore the rest of my pages and my resume, or send me an email at caitlyn.kelly@temple.edu, if you are interested in learning more about myself and my career goals.